The 1860s brought dramatic change to Seth Vose's Providence art supply business. In addition to selling art materials and frames, Seth began to act as a dealer for local artists. He attained the reputation of a respected art dealer, and would quickly become a source of advice and critical evaluation for famous artists of the period. 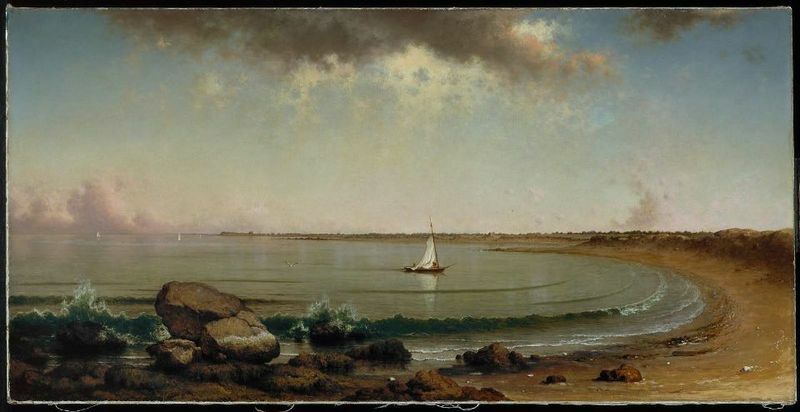 Gallery records show early dealings and consultations with Martin Johnson Heade (1819-1904), William Bradford (1823-1892), William and James Hart (1823-1894, 1828-1901), R. Swain Gifford (1840 – 1905), George L. Brown (1814-1889), Albert Bierstadt (1830-1902), and William Trost Richards (1833-1905), Daniel Huntington (1819-1906), and John F. Kensett (1816-1872). Seth's dedication and industrious spirit would increase not only his reputation, but his collection of paintings as well. By the latter half of the 19th century, Seth had established a degree of respect and admiration that would ensure his place in history as one of America's foremost art dealers. *Yankee Magazine, "Story of the Vose Galleries" by Jack Post, Sept. 1973.